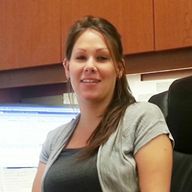 Shara Rafailakis is up-beat and ready to help our group insurance clients. Raised in San Diego, California, and an Arizona resident the last 16 years, Shara immerses herself in whatever is set before her. She does her absolute best for her clients as well as GNI. Shara has over 7 years in Customer Service before coming to GNI serving, listening carefully, and responding in a way that’s easily understood. She has dealt with important projects and confidential information; from helping families remodel their home to dealing with clients’ finances working with the State of Arizona in the Unemployment Insurance Department. In addition to her Customer Service experience and knowledge, she is also fluent in American Sign Language and pursing a degree as an Interpreter for the Deaf and Hard of Hearing community. She is excited to use her customer service expertise to help non-profits and faith-based organizations choose the best plan for their specific needs.